Turn off the laptop, unplug AC adapter and remove battery. 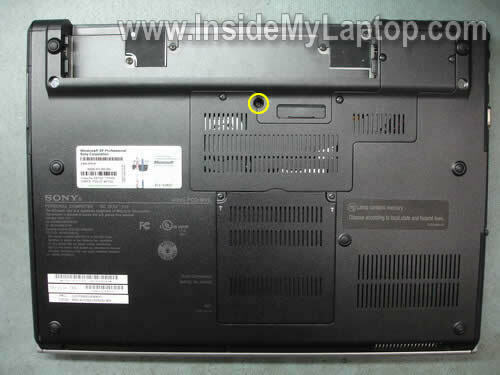 There are two latches securing the keyboard. They are located above the F2 and Insert keys. 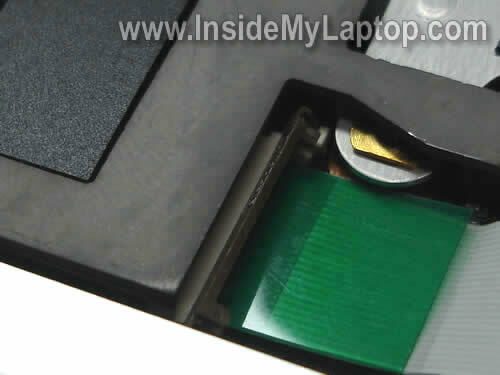 Using a small screwdriver press on the locking latch above the Insert key and lift up the right side of the keyboard. 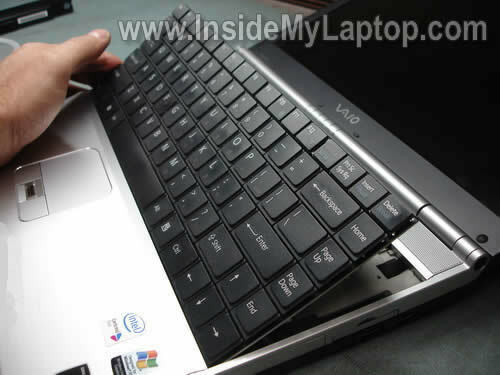 Do the same with the second latch and lift up the keyboard from the laptop base. 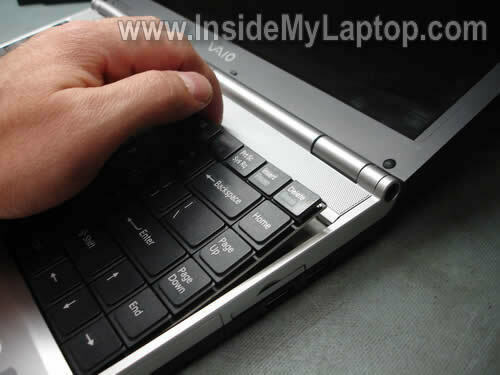 Place the keyboard upside down on the palm rest so you can access the cable connector underneath. 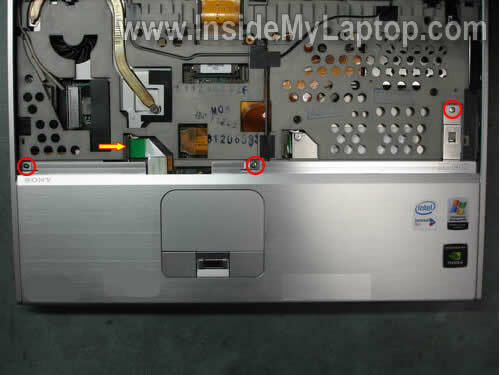 In order to unlock the cable connector move the black clip about 2 millimeters towards the touch pad. The clip must stay attached to the connector base. 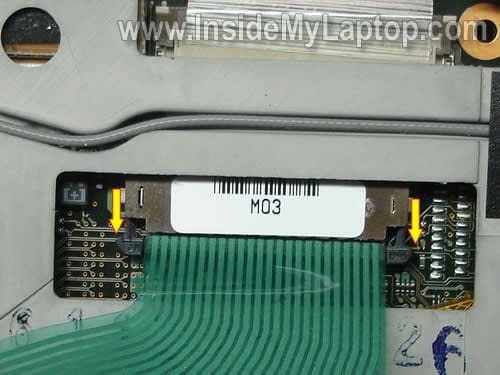 If you break the connector, you’ll have to remove the motherboard. Work very carefully. Release the keyboard cable. Remove the keyboard and replace it with a new one if needed. 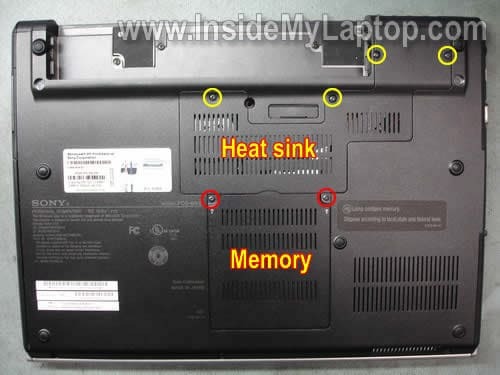 Remove four screw securing the heat sink cover. Remove the cover. 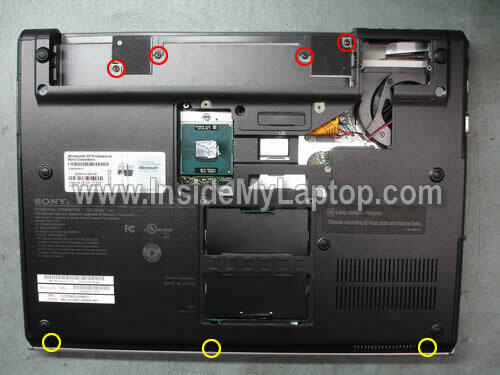 Remove two screw securing the CPU heat sink. 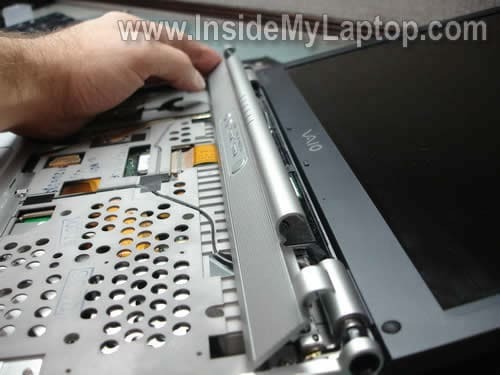 Remove heat sink from the laptop. 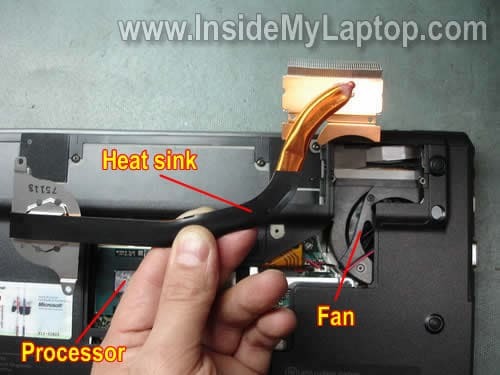 Now you can clean the cooling fan and heat sink with compressed air. Also, you get an access to the CPU. 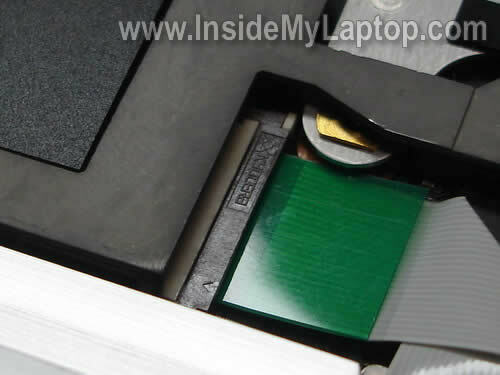 Both memory modules could be access through the door on the bottom of the laptop. 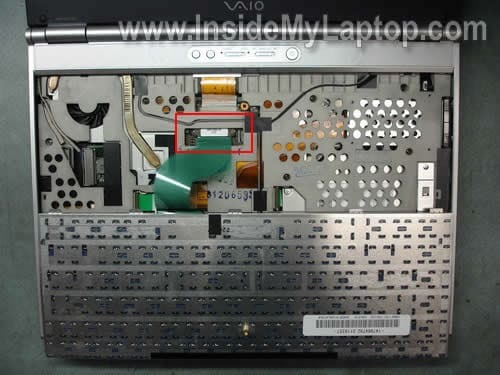 Remove four red screws securing the switch cover. Remove three yellow screws securing the palm rest. 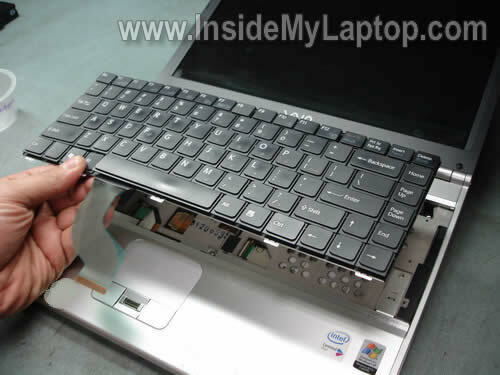 Carefully lift up and remove the switch cover. Remove three screw securing the palm rest. Unlock the touch pad cable connector and release the cable. 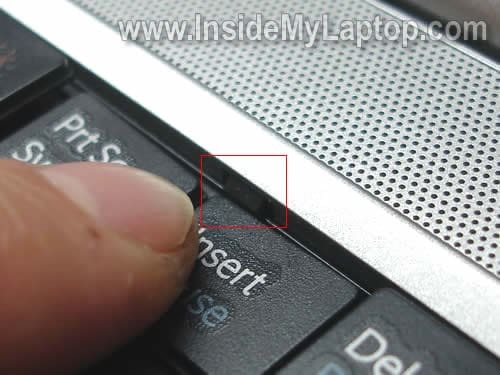 In order to unlock the connector simply lift up the right side of the locking clip with your finger nail. 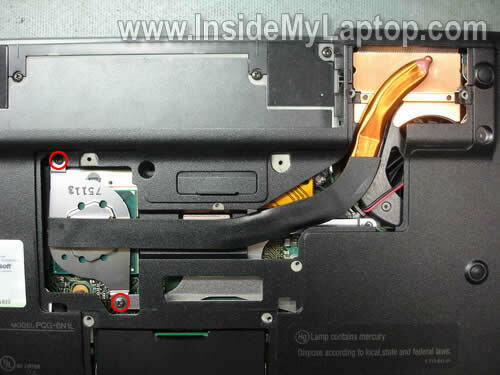 On the picture below the connector is shown in the unlocked state. Release the touch pad cable and remove the palm rest assembly. 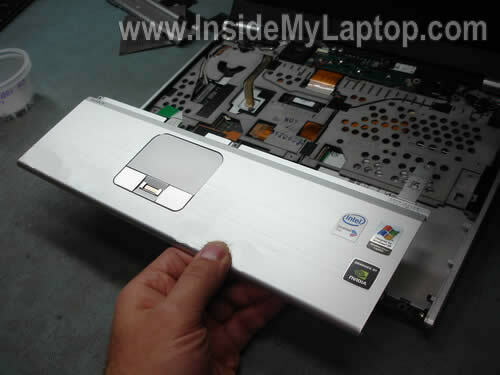 When the palm rest assembly is removed you get an access to the hard drive, DVD drive, wireless card and CMOS battery. 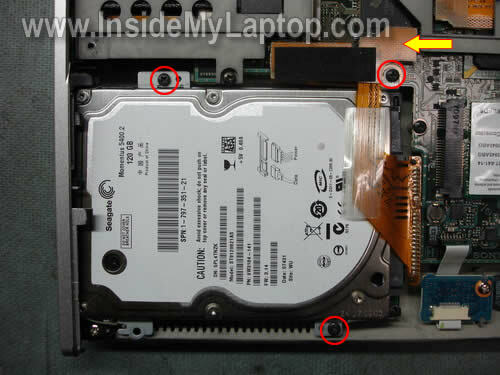 If you are replacing or upgrading the hard drive you’ll have to transfer the mounting bracket and cable from the old drive to a new one. 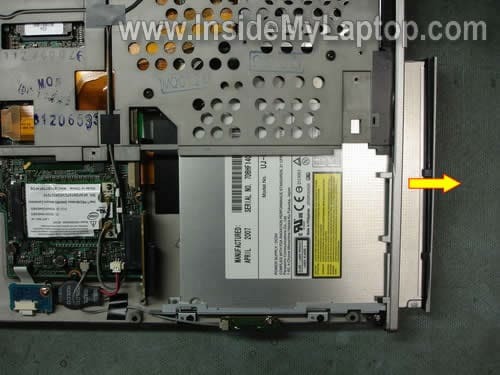 Slid the DVD drive to the right to disconnect it from the motherboard. 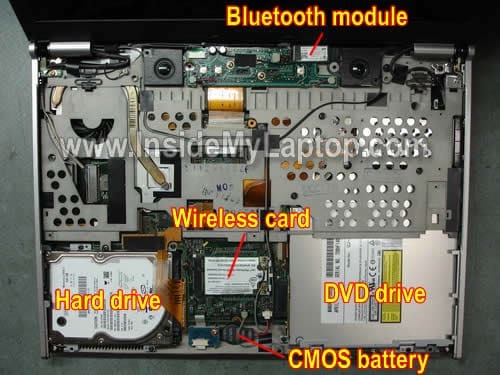 There is an adapter between the DVD drive and motherboard. This adapter has to stay attached to the motherboard. 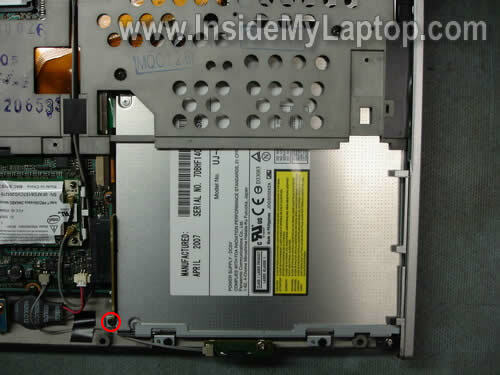 Remove DVD drive from the laptop. 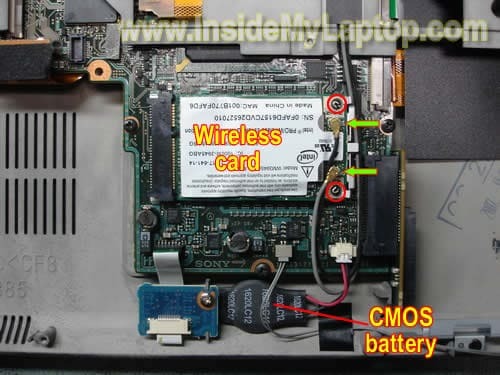 In order to remove the wireless card, disconnect two antenna cable from the card, remove two screws securing the card and pull the card from the slot on the motherboard. 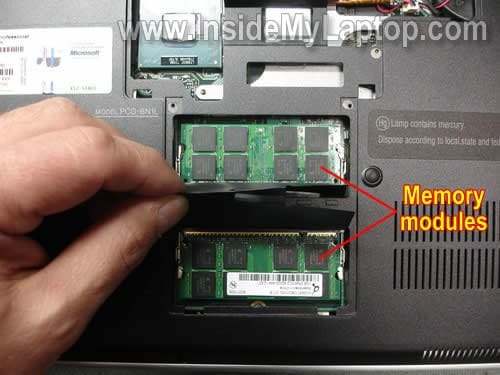 If you would like to replace the CMOS battery, simply unplug it from the motherboard and replace with a new one.